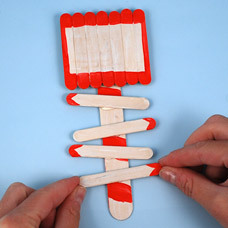 Guide Santa home with this North Pole Directional Sign made of craft sticks! Lay down (7) Mini Craft Sticks vertically side by side. 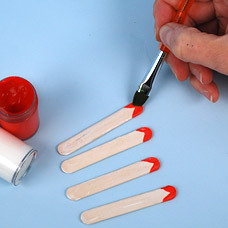 Glue (2) Mini Craft Sticks horizontally on top to secure the shape. Once dry, flip this piece over, this will be the top of your directional sign. 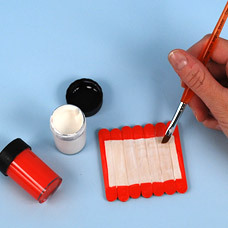 Paint the shape with red and white Acrylic Paint as shown. Add additional coats as desired. Set aside to dry. 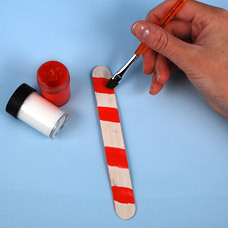 Paint a red and white striped pattern on a Jumbo Wood Stick. This will be the base post of your directional sign. 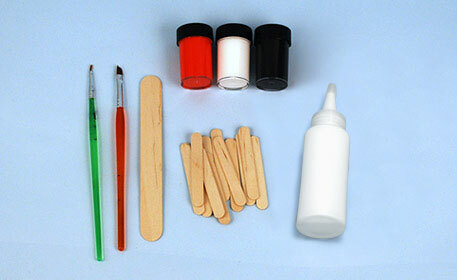 Paint (4) Mini Craft Sticks with white paint and a red arrow. These represent different locations and their direction. 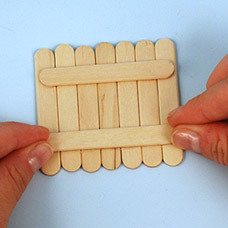 Glue the top and directional signs onto the striped Jumbo Stick base. Tip: Point some directional signs in one direction and others going the other way for a fun look! Using a thin paintbrush and black Acrylic Paint, write “North Pole” on the top of the directional sign and paint different locations, onto the (4) Mini Craft Stick directional arrows. 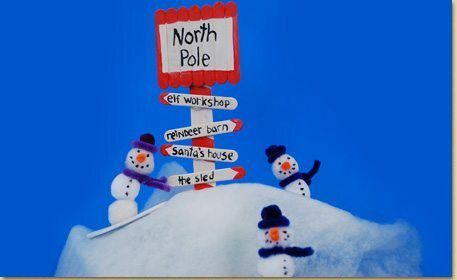 On our example we wrote “Elf Workshop”, “Reindeer Barn”, “Santa’s House” and “The Sled.” Once dry, use this North Pole Directional Sign within a Holiday Village display for the Holidays! To learn how to make the Pom snowman pictured up top, click here.